17.04.2019 Notas de prensa. Balanza de pagos mensual de la zona del euro: febrero de 2019. 16.04.2019 Notas de prensa. Estado financiero consolidado del Eurosistema a 12 de abril de 2019. 11.04.2019 El BCE publica las estadísticas supervisoras sobre el sector bancario correspondientes al cuarto trimestre de 2018. 11.04.2019 Notas de prensa. Resultados de la encuesta del BCE a expertos en previsión económica correspondiente al segundo trimestre de 2019. 11.04.2019 El BCE inicia una consulta pública relativa a las modificaciones al marco de las tasas de supervisión. 01.01.1970 Sabine Lautenschläger: Central Bankers, Supervisors and Climate-Related Risks. 01.01.1970 Mario Draghi: IMFC Statement. 01.01.1970 Decisions taken by the Governing Council of the ECB (in addition to decisions setting interest rates). 01.01.1970 Results of the Q2 2019 ECB Survey of Professional Forecasters. 01.01.1970 Mario Draghi, Luis de Guindos: Introductory statement to the press conference (with Q&A). 01.01.1970 Risky assets in Europe and the US: risk vulnerability, risk aversion and economic environment. 01.01.1970 Shocks and labour cost adjustment: evidence from a survey of European firms. 01.01.1970 Dynamic fiscal limits and monetary-fiscal policy interactions. 01.01.1970 Monetary policy spillovers, capital controls and exchange rate flexibility, and the financial channel of exchange rates. 01.01.1970 Card payments in Europe – current landscape and future prospects: a Eurosystem perspective. 01.01.1970 Collateral booms and information depletion. 11.04.2019 ECB/2019/7 Guideline of the ECB of 9 April 2019 on domestic asset and liability management operations by the national central banks (recast). 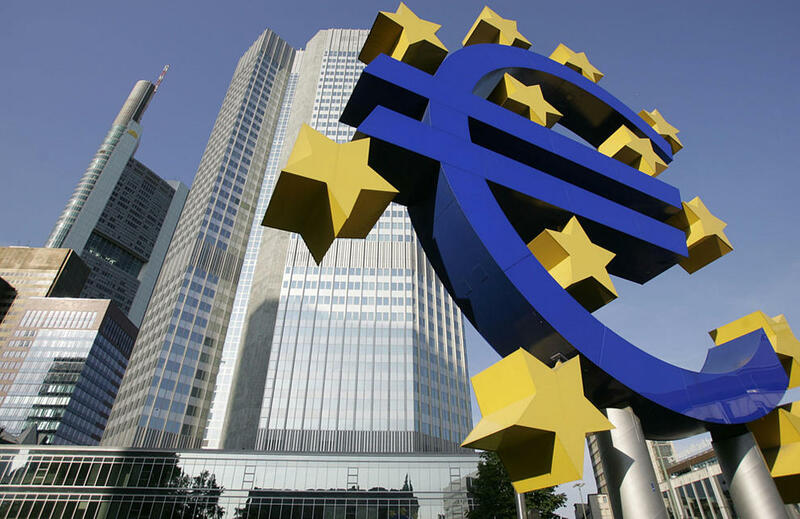 11.04.2019 ECB/2019/8 Decision of the ECB of 9 April 2019 amending Decision ECB/2014/8 on the prohibition of monetary financing and the remuneration of government deposits by national central banks. 11.04.2019 CON/2019/15 Opinion on lobbying. 29.03.2019 CON/2019/14 Opinion on requiring the consent of borrowers to transfers of loans secured by mortgages on residential property. 27.03.2019 CON/2019/13 Opinion on judicial relief granted to former holders of qualified bank credit. 22.04.2019 20190020 (MRO,liquidity providing):5769.3 mn EUR alloted ( 100% allotment at margin). 22.04.2019 20190039 (OT,liquidity providing):54.9 mn USD alloted (fixed 2.91%, 100% allotment at margin). 22.04.2019 20190012 (OT,liquidity providing):64.5 mn USD alloted (fixed 2.9%, 100% allotment at margin). 01.01.1970 Euro area monthly balance of payments: February 2019. 01.01.1970 Euro area securities issues statistics: February 2019. 01.01.1970 Account of the monetary policy meeting.